Alone I sit and gaze at my laptop screen, wondering what post to write next ,amidst the amount of pending work that I have. I always start a series on the blog and leave it half way because I get bored of the old idea soon and start looking for fresh ones. After about 30 minutes,I finally conclude that I am a TRUE GEMINI and start writing a new article thinking it is just normal for me to be that way. So basically, if I leave a series incomplete, it is not my fault, but the fault lies in my horoscope.Don't blame me ! If you had read my 'What I wore in Phuket' post, you would have known that I love Boho outfits and accessories. While pondering over my love for all things Boho, I just stumbled upon the fact that I had a white Bohemian top (that many of you requested to do an OOTD post about) lying around and decided to do a post for the readers who requested for it. 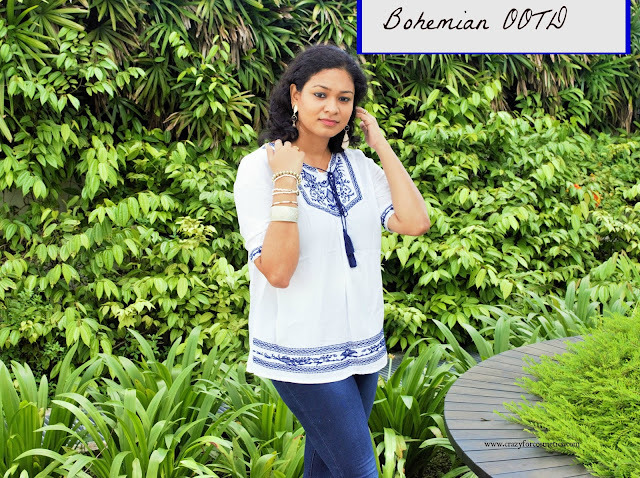 I bought the white top during my visit to Bugis street and it was featured in the Budget Shopping in Bugis post here. I love planning my outfits ahead be it attending a wedding, or a party and while traveling too. 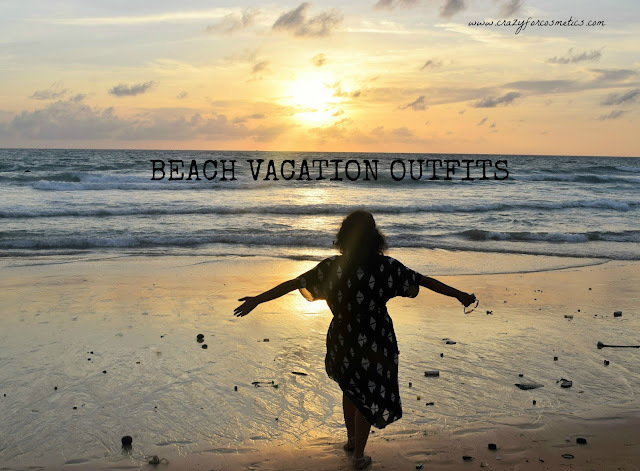 Of course, every woman would love to do that and I too enjoy doing that along with shopping for those outfits.So when my Phuket trip got confirmed, the first thing that came to my mind was to look out for outfit inspirations online and then to head out for shopping. 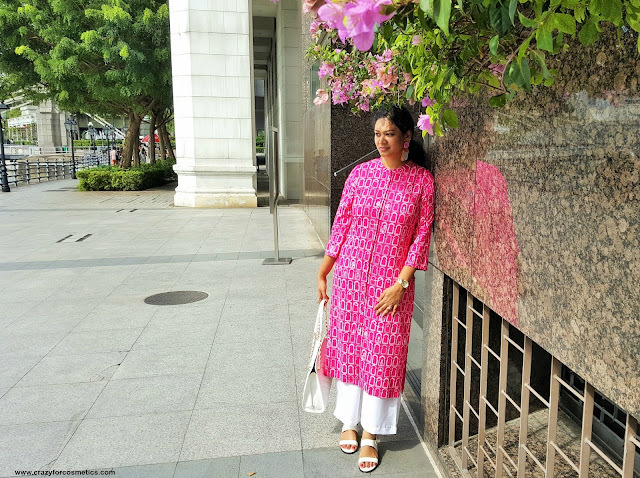 When it comes to western outfits, my personal favorite would be BOHO outfits and I really love to flaunt chunky jewelry too.I decided on a budget first and then headed out to my most favorite shopping store in Singapore, i.e : H&M. H&M has a great range of choices, size options and of course, SALE, so the first stop was at H&M.I got some of the boho outfits from H&M and the rest of the outfits are from my existing collection. So let us see what were the outfits that I wore and let me decode them for you. Don't you sometimes think that life is getting a lot easier these days with a lot more Apps and Websites working towards improving your lifestyle? Well, I definitely feel that the Internet is a blessing and there is so much out there which make our lives simpler. Being a beauty blogger and a person who loves to take good care of my skin and look presentable always, I keep looking for new launches and products that can help me achieve what I want. So this process can get a bit stressful when you have to browse through racks of products(traditional shopping) or pages of products(online shopping) to find the right one for you. But if I tell you that there is an alternative way to reduce your work but at the same time get the right products which would work for you, does that sound interesting? I do not stock up on foundations as much as I stock up on lipsticks because I use lipsticks on almost a daily basis. 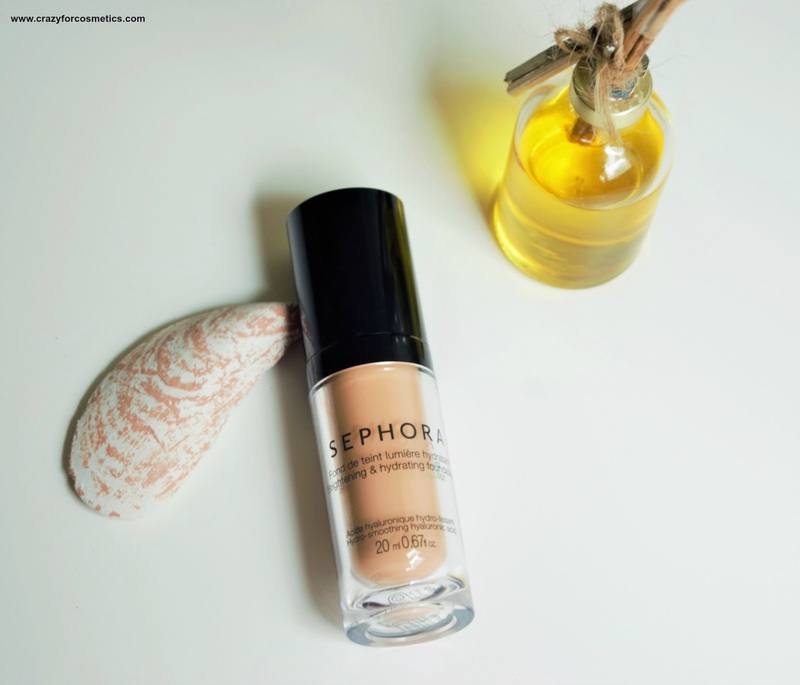 Foundation is something I don't wear on a regular basis because I feel it prevents my skin from breathing.To make matters worse is the humidity here in Singapore which holds me back from applying foundation. So I had not bought any foundation for almost 3 years and was using my MAC whenever I needed one.Since it has been the only one in my stash, it got over and I had to invest in some other foundation. I could have probably gone for the same one but I really wanted something lighter this time and also something that is not completely matte and would give a subtle glow. 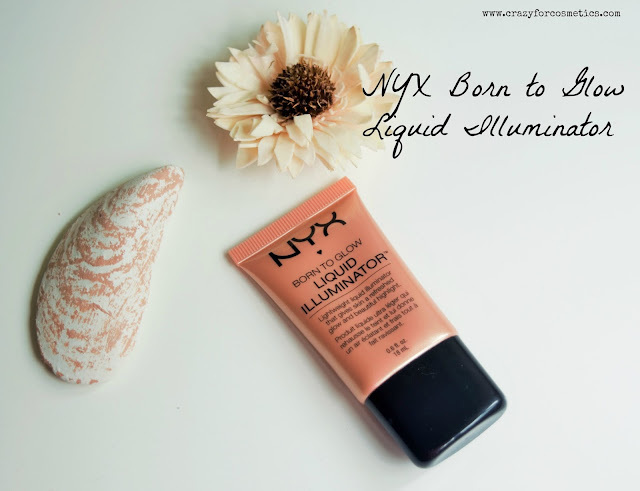 MAC foundations are great for high coverage and for special occasions but on ordinary days, they tend to be heavy on the skin. 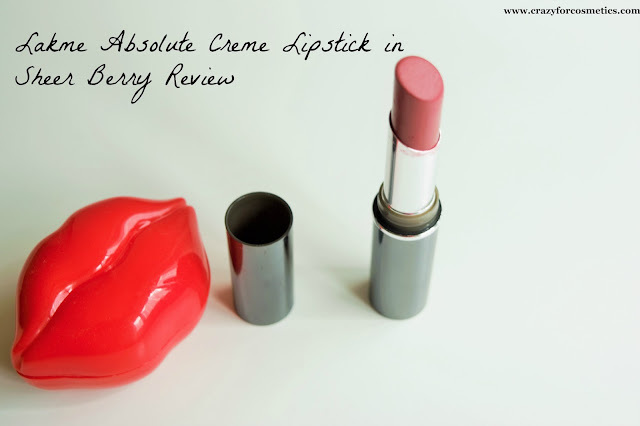 I have always had a fascination for cosmetics from the US because of their good quality and affordable nature like MakeupGeek eyeshadows, Colorpop cosmetics etc. Fearing the shipping charges & customs charges, I always quit at the Shopping Cart stage. Similar is the story with buying clothes from Chinese websites which are also much cheaper than ones found in Singapore. I have tried decoding taobao.com so many times and then finally given up hope because everything is in Chinese.To help resolve such issues and to also provide very affordable shipping charges, we have EZBUY, which is a website that does the purchasing/shipping from USA, Taiwan, and China at a very affordable rate. Gone are the days when you have to make a booking at the salon, go and wait there despite making a booking,and get treated badly if you say you wish to do just a simple cleanup facial. The one sitting next to you who is doing a Skin Lightening Facial will be offered a juice and you just get water that too upon request. I am not generalizing this with all salons, but you have to accept the basic fact that this happens in most places. Birthdays are always special where you get a lot of wishes and gifts which make you happy the whole day. I really get excited to meet all my family members, seek their blessings and get my gifts from them. This time, it is quite different being away from family but of course, my husband has ensured that I will have a great birthday by getting me awesome gifts and also by reserving a table for lunch tomorrow. So I have had a major self-pampering session today at home and feeling totally fresh to celebrate my birthday tomorrow. 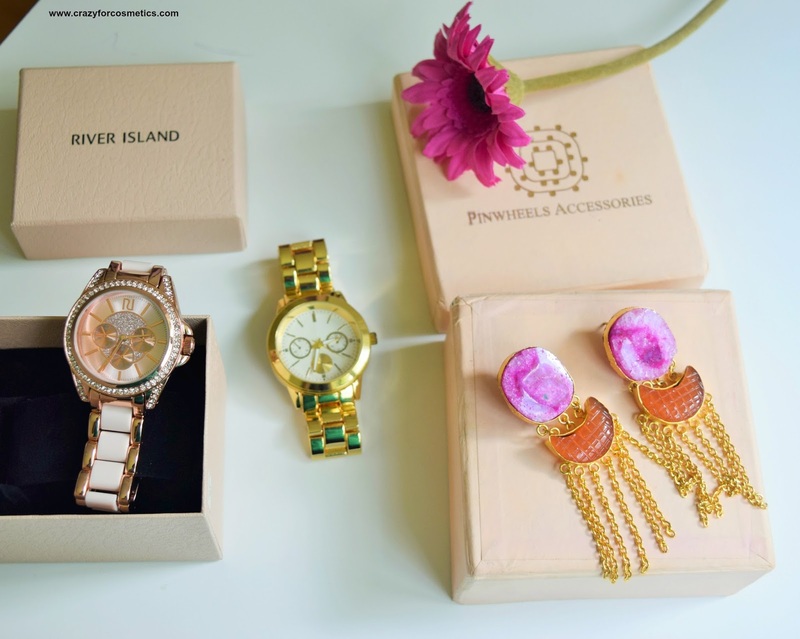 So without further delay, let me show you my Birthday Haul which also includes the Bugis Street Shopping(Read Here). Summers are fun in a way where you can flaunt bright colors and enjoy the beaches but at the same time, it does really take a toll on your skin. But if you are well protected and take good care of your skin, there is nothing better than the summers.So I am all set to go for a beach vacation and while I was deciding the essentials that I need to pack, my eyes fell on this wonderful Pomegranate shade Massage Gel that was sitting on my vanity table. My mom had sent this to me here in Singapore and I would need it all round the year due to the Tropical Weather here. 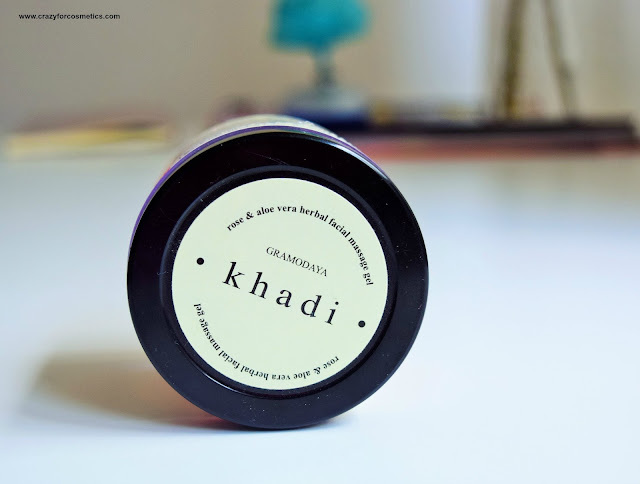 I am talking about nothing other than the Khadi's Rose and Aloe Massage Gel that looks so pretty and works wonders on your skin especially for summers.